The third ODI between India and New Zealand is underway at the Bay Oval in Mount Maunganui. New Zealand skipper Kane Williamson won the toss and elected to bat first but it was once again a familiar story for the hosts, who failed to get off to a great start losing both their openers within the first six overs. It was once again down to Williamson and Ross Taylor to stabilize the New Zealand innings. Hardik Pandya’s eventual return to the playing XI after a series of controversies was one of the major talking points ahead of the 3rd ODI. The Baroda all rounder looked much more focused as he kept bowling good lines and lengths against the likes of Williamson and Taylor. His seam position was much straighter as he kept hitting the deck hard, causing all sorts of problems for the duo. 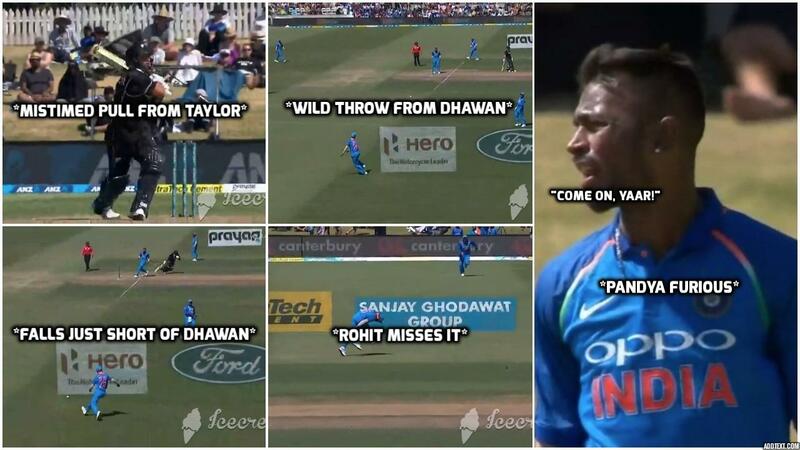 In one instance during his spell, Pandya lost his cool a bit on Shikhar Dhawan after the southpaw’s wayward throw cost Team India an extra run. The incident occurred in the 14th over of the innings when Ross Taylor was on strike. Pandya bowled a short delivery which rose on the right hander, catching him off guard. Taylor somehow pulled it towards the mid-wicket region with no timing at all and the ball landed just short of Shikhar Dhawan at short mid wicket. Rohit Sharma was waiting to receive the throw some meters away from the stumps on the on-side but Dhawan made a wild throw which went towards square leg which allowed Taylor to come back for a second run. Rohit still attempted to stop the ball but failed and it was Kedar Jadhav, who eventually collected the ball and threw it back to the wicketkeeper’s end. 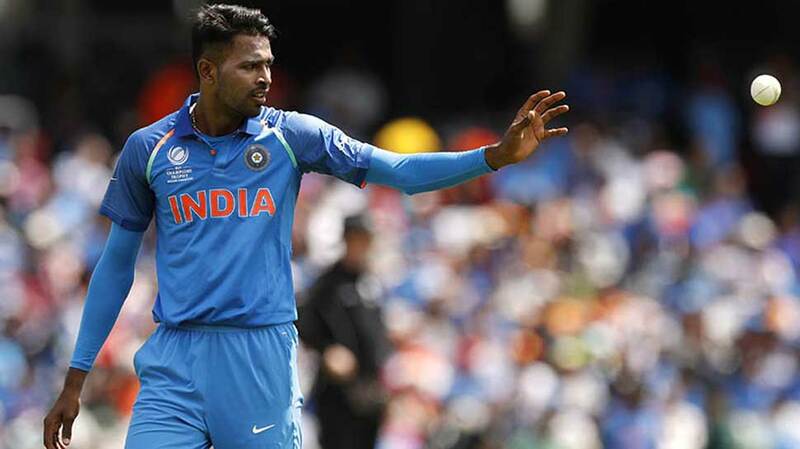 Frustrated with Dhawan’s effort, Pandya uttered “C’mon Yaar” to let his disappointment known.